Armie Jarin-Bennett is shaking things up at CNN Philippines. On Monday we brought you our exclusive report on New Day, the network's latest entry in the lucrative morning show arena. The program, which will be led by Amelyn Veloso and Karen Jimeno, along with Andrei Felix and Claudine Trillo, will debut on Monday, February 15, at 6:00-7:30AM. 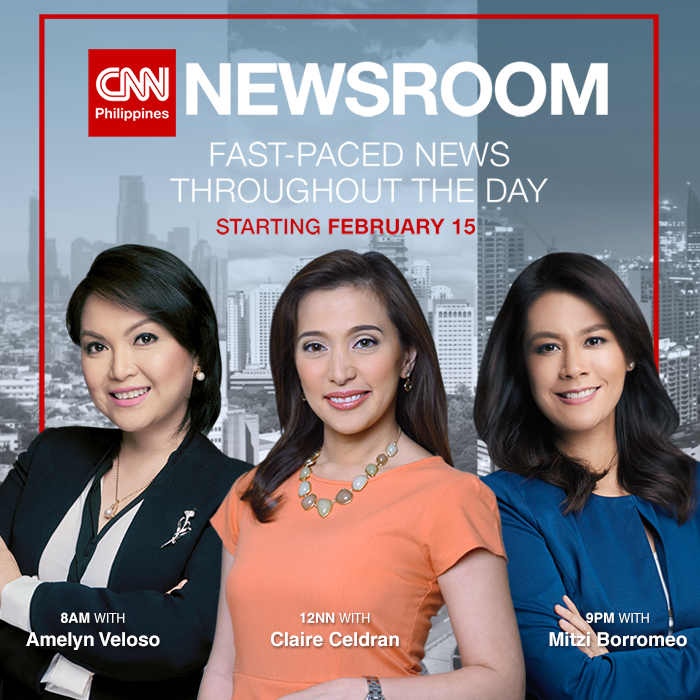 The morning edition of Newsroom, also to be anchored by Veloso, will begin at 8:00AM, to be followed by CNN's original programming at 8:30AM. Veloso will then return at 10:00AM to co-anchor Serbisyo All Access with Gani Oro. Also as first reported in this space earlier this week, Claire Celdran will be making her debut as the newest anchor of Newsroom midday edition, replacing Mai Rodriguez who will be on duty during weekends. 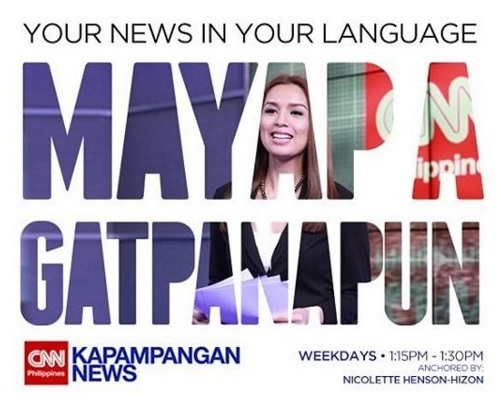 Menchu Macapagal and Nicolette Henson, meanwhile, will remain in the afternoon block as anchors of Cebuano News and Kapampangan News, which will be both reduced to 15 minutes from its original half-hour running time. 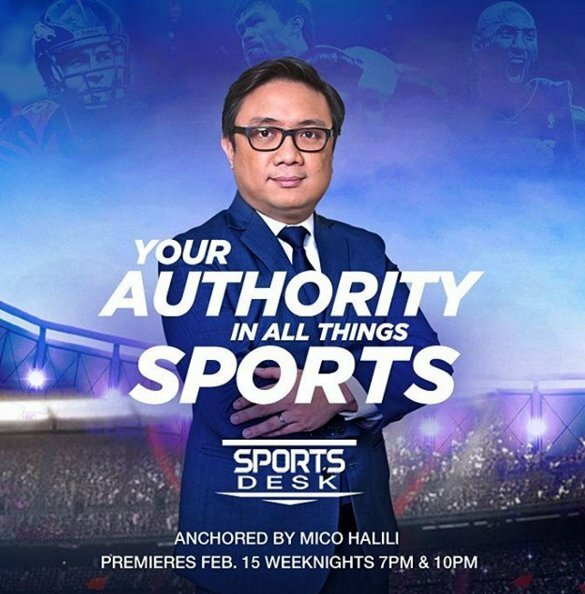 Primetime will begin with Network News, with Pia Hontiveros continuing her role as anchor of the CNN Philippines flagship newscast, followed by the 7:00PM edition of SportsDesk, now solely anchored by Mico Halili. Capping off the lineup is the primetime edition of Newsroom — replacing Nightly News — at 9PM, followed by the current affairs block at 9:30PM and the 10PM edition of SportsDesk. More changes are said to be underway including a revamped current affairs lineup to be launched in the first half of 2016. Question: Will you be watching on Monday? Also, do you think all of these changes will eventually pay off? Let us know by posting your comments below or on our Facebook page. You can also tweet us @medianewserphil.